1. 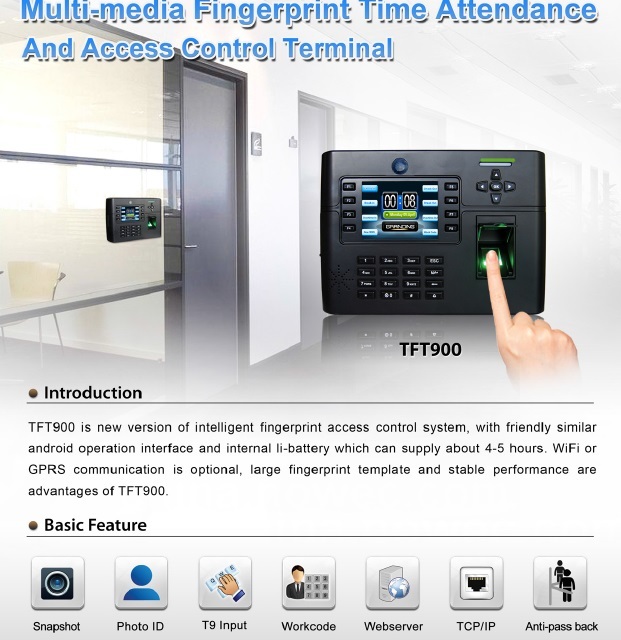 The TFT900 fingerprint access control offers a composite algorithm system with high speed operating. 4. 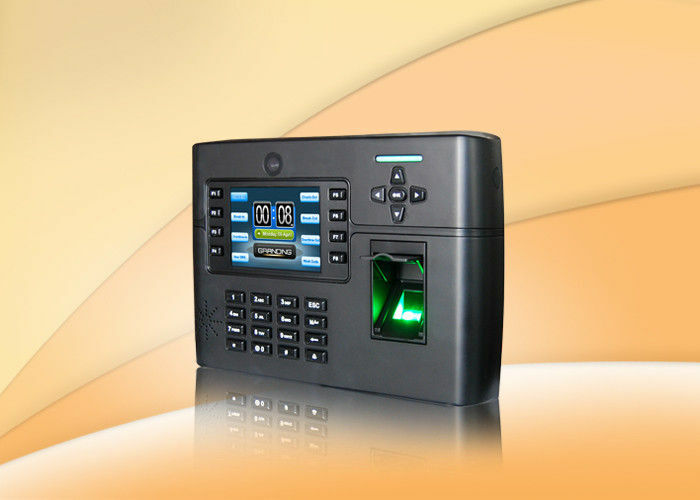 It has professional access control system support real-time entrance logs transferring. 5. The TFT900 fingerprint access control offers 65.000 real color display, make menu with high-definition graphical user interfaces. 6. It has a web-based application for the door lock system and it is easy to monitor an employee's movement at any time. 7. The TFT900 fingerprint access control has an internal camera to take photos when users register and verify their finger. 8. 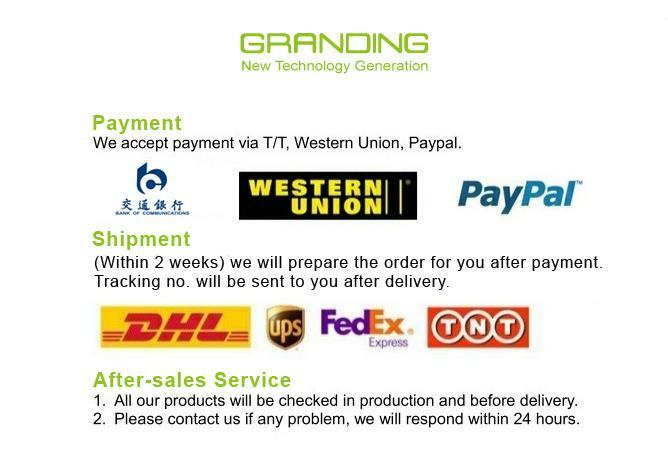 24 hours continuous operation is available. 9. It saves data during a power outage.